Yesterday, the U.S. Supreme Court decided not to hear a bitterly contested First Amendment case arising out of Miami-Dade County, Florida, and which has come to be known as the “Vamos a Cuba” Case. “Vamos a Cuba,” or “A Visit to Cuba,” is a children’s book at the center of the controversy, which school board officials removed from the school library. 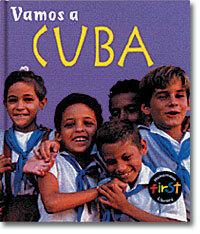 As reported in yesterday’s Christian Science Monitor, school board officials determined that the book portrayed an inaccurate picture of life in Cuba, based largely on one parent’s offense to the following statement: “People in Cuba eat, work, and go to school like you do.” “Vamos a Cuba” is part of a 24-volume set of books intended to introduce U.S. children to life in other countries. The ACLU filed suit against the school board claiming that the board’s actions constituted censorship in violation of the 1st Amendment. The U.S. District Court agreed, issuing an injunction commanding the school board to restore the book to the library shelves. The school board then filed an appeal, and the 11th Circuit Court of Appeals disagreed with the trial court’s ruling and lifted the injunction. By refusing to take up the case, the Supreme Court will let the 11th Circuit’s ruling – and the school board’s actions – stand. Miami-Dade County has a long history of political controversy, first making headlines with Anita Bryant‘s prominent campaigning in 1977 to repeal a local ordinance that prohibited discrimination on the basis of sexual orientation. What is remarkable about this case, in my opinion, is the fact that the school board convened not 1, but 2, panels to review the book and decide if it should stay or go. The first panel consisted of 8 individuals, voting 7 – 1 in favor of the book staying on the library shelves. Apparently, not to be dissuaded, the board convened a second, larger panel of 16 individuals. They voted 15 – 1 in favor of the book. Despite these resounding vote totals, the school board then voted 6 – 1 in favor of removing the book. Another point that bears mentioning is that the school board also rejected any argument that the library could acquire other books about Cuba that might present a more “well-rounded” view of the country. 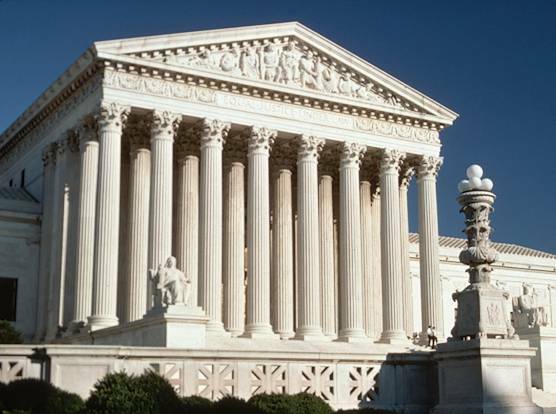 The U.S. Supreme Court has tinkered with Tinker v. Des Moines School District for years now, gradually whittling away at young people’s freedom of expression and First Amendment liberties. This time, I fear, they struck a potentially worse blow to the First Amendment by not getting involved. Do you agree with the school board’s actions in this particular case? Should a local school board be permitted to remove a book from the public school’s library because the board believes it paints an inaccurate viewpoint about another nation? What if a school board decided that the Holocaust did not actually happen, and banned any books referencing it? This entry was posted in 1st Amendment, Censorship, Children & the Law, civil rights, constitutional law and tagged American Civil Liberties Union, First Amendment, First Amendment to the United States Constitution, Supreme Court, Supreme Court of the United States, U.S. Supreme Court. Bookmark the permalink.